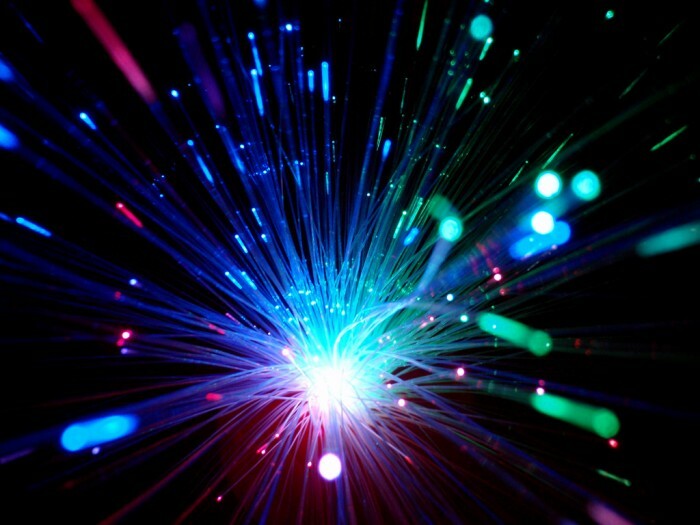 There is a growing push for full fibre connections in the UK backed by central Government and helped by growing commercial investment. Bristol is set to greatly benefit from this thanks to investment recently announced from Openreach in its Fibre First plan, and the Government’s Local Full Fibre Networks initiative providing gigabit broadband vouchers to help residents and businesses get connected. The push for full fibre will also create job opportunities in our local area for fibre engineers. Why the need for full fibre? The UK has an advanced digital sector that is already an important part of the economy and set to grow further. Digital sectors contributed £118 billion to the economy in 2015: over 7% of the UK’s gross value added (GVA), and exports of digital goods and services now amount to over £50 billion. Great strides have been made in the availability of superfast broadband – defined by OFCOM as having a download speed of above 30 megabits per second – with Bristol at 93% according to the latest OFCOM figures (2017). But the story doesn’t end with superfast, as this is often delivered on part fibre, part copper connections. This is already struggling to meet today’s needs and is not sufficiently future-proof to meet our growing demands for data and speed. The copper part of the connection is distance dependent – the speed and quality of the service you get is dependent on how far you live or work from a telecoms cabinet. Full fibre brings the promise of higher speeds, larger capacity, more consistent services with better reliability and much lower data delay (latency). It is also needed to underpin innovations which are just around the corner – like much faster mobile networks (5G) and Connected and Autonomous Vehicles (CAVS) which will need to communicate with each other and city infrastructure using full fibre connections. Despite being a global leader in superfast connections, the Government has identified the UK is behind many OECD and EU countries in the availability and take up of full fibre connections. It is committed through its Industrial Strategy and new initiatives, like the Local Full Fibre Networks programme, to greatly accelerate the roll out of full fibre networks. 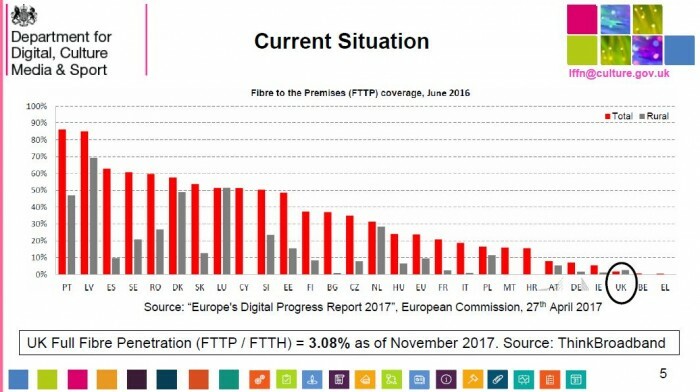 So you can see, for the UK to maintain and grow its important digital sector, it needs to rapidly upgrade its infrastructure to full fibre or risk being out competed by our European and international competitors. What about full fibre for Bristol? With the importance of Bristol’s digital sector – supporting over 35,000 jobs in the city region – and the competition to attract new jobs and investment, full fibre connectivity is key to the city’s future prosperity. Bristol has a range of telecoms networks, including Openreach, Virgin Media, City Fibre, The Bristol Network and Hyperoptics. Some are already full fibre, but others are significantly part fibre. Bristol was fortunate to be selected by Openreach as one of seven cities in the UK to benefit from its Fibre First programme, which is set to be the biggest investment in the city’s digital infrastructure for 30 years. Other cities are also winning major telecoms investments – full fibre investments have been announced for Milton Keynes, Peterborough and Aberdeen, underlining the national race in which Bristol is competing. Bristol City Council has been proactive in piloting the Government’s gigabit voucher scheme in the city, providing grants of up to £3,000 for businesses and residents to get gigabit-ready broadband. After successful piloting, the scheme will go national before the end of March 2018. Find out more about how you can benefit. The council also made an ambitious bid to the Challenge Fund in January 2018 for a plan to extend our council-owned BNET full fibre network to reach more schools, libraries and public buildings. Sadly the bid wasn’t successful this time, but we will be making another bid in the summer of 2018 and will be working closely with our neighbouring authorities and WECA to enhance the bid. Read more about the benefits of ultrafast broadband for businesses and home users.